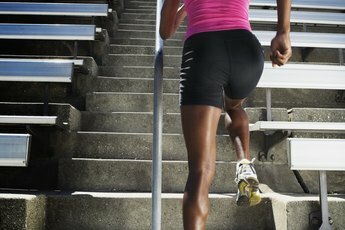 Burn more calories with interval training. 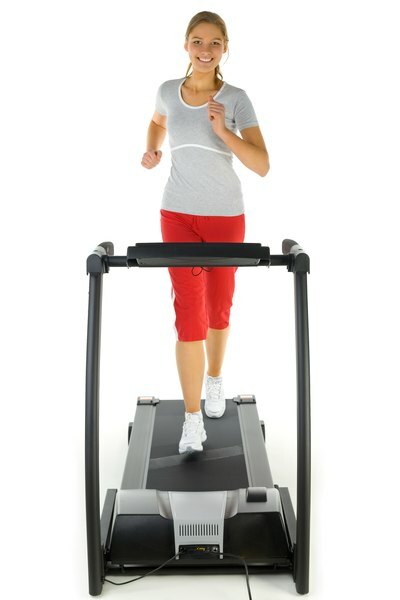 It's no secret that the treadmill is one of the most popular pieces of gym equipment. Treadmills are dependable -- you don't have to miss your run even if the weather outside is frightful -- and adjustable, allowing you to control the speed, incline and intensity level. If weight loss is your goal, make the most of your treadmill time by incorporating interval training and alternating between low-intensity and high-intensity workouts. According to "USA Today," interval training not only allows you to burn more calories in less time, but it also improves oxygen use, boosts speed and endurance and increases strength by as much as 10 percent. The concept behind interval training is simple: you insert several periods of intense activity into your normal workout. This allows your muscles to recover between bursts of high-intensity exercise and prevents the buildup of waste products that contribute to unwanted side effects, such as fatigue and muscle soreness. To get started, warm up and exercise for a few minutes at your normal pace. Then, increase your speed for a period of 30 seconds. Estimating the calories burned during interval training is difficult because calorie output depends on your weight, the time you spend exercising and your speed and intensity level. For this reason, using a treadmill for interval training is beneficial because it keeps track of the calories you burn. If you have just started your weight-loss journey and are fairly new to exercise, don't think you have to jump right into jogging or running to see benefits. While walking may seem like a waste of time, it is low impact, places little stress on the joints, and helps to keep blood pressure and cholesterol levels in check. It also offers the same heart-healthy benefits as jogging. Even if you are physically fit, walking is a great exercise to consider on days between runs because it gives your muscles a chance to rest and recover with little risk of injury or joint damage. A 130-pound woman can expect to burn approximately 195 calories while walking at a moderate 3-mile-per-hour pace for one hour. 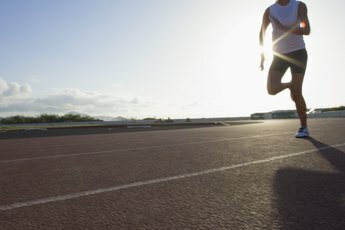 Running is one of the most efficient exercises for burning lots of calories in a short amount of time. However, if you fail to take preventive measures, running can be counterproductive because it is high impact and can lead to injury if you are not fit enough to handle a high level of exertion. Make sure you warm up and cool down for at least five minutes at the beginning and end of your workout, and stretch your muscles after you are finished. Running for one hour at a pace of 5 mph, a 130-pound woman can burn 472 calories. Increase your pace to 8 mph to burn as many as 796 calories per hour. Before you begin exercising, you should check with your doctor to make sure it is safe for you to do so. During interval training or running, it is important to listen to your body. If you feel pain or exhaustion during your workout, chances are you are working too hard too soon and need to decrease your pace. Consider consulting with a personal trainer if you are new to exercise or have a specific fitness goal in mind, as she can help you develop the safest and most effective treadmill workout. 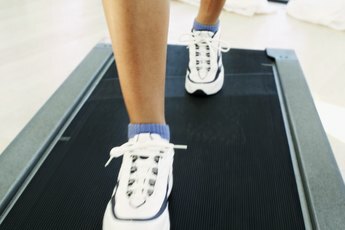 What Is a Decent Treadmill Pace for Jogging?